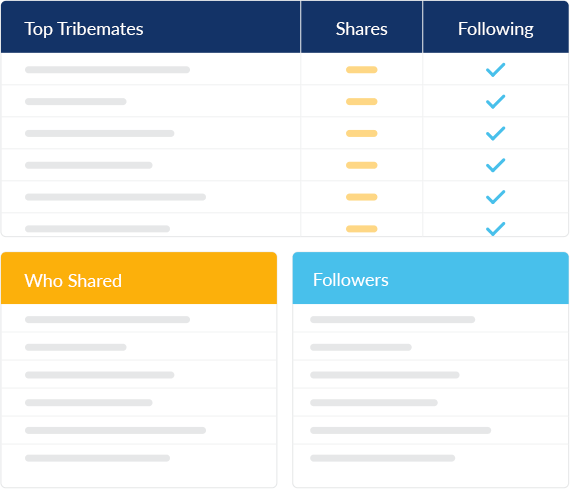 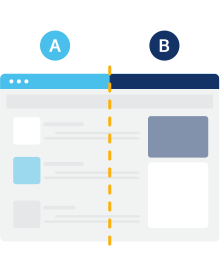 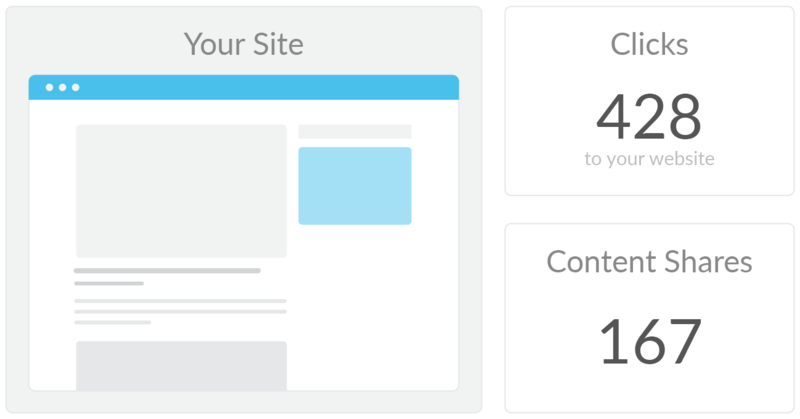 Track your best performing content and tribemate responses to understand what resonates with your audience. 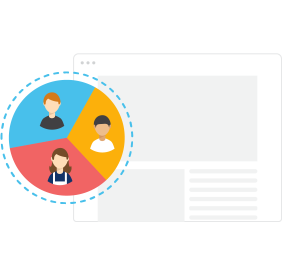 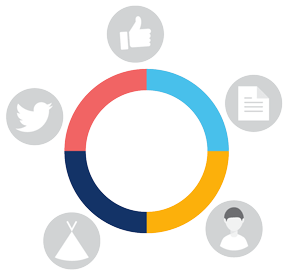 Track post analytics, gain insights on social traction, and gather meaningful data to improve click and share rates. 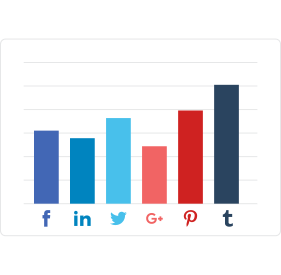 Review share impressions, following growth and content performance across social networks. 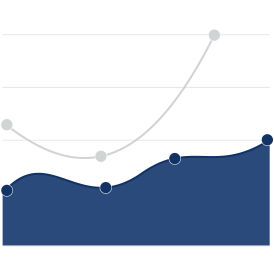 Measure the growth of your tribes over time. 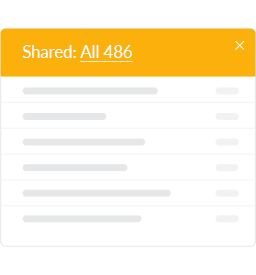 Automatically track who shares and actively engages with your content.